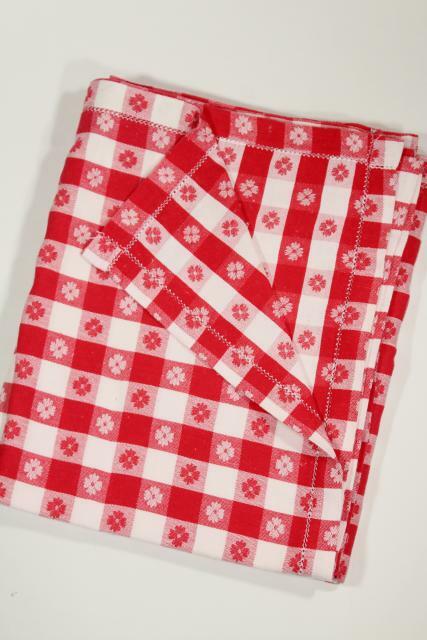 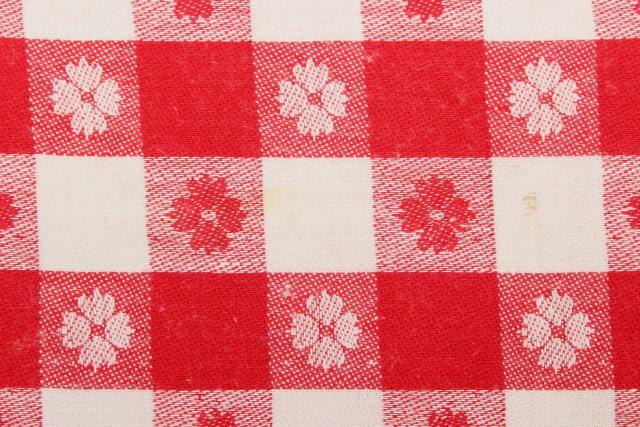 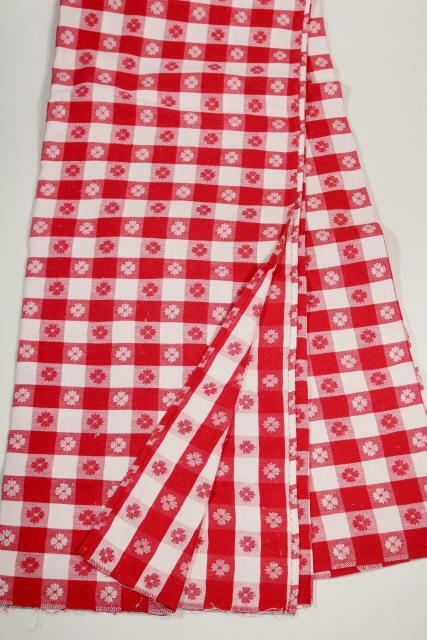 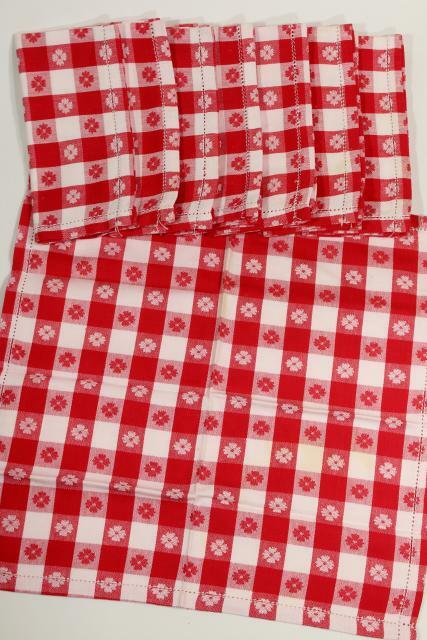 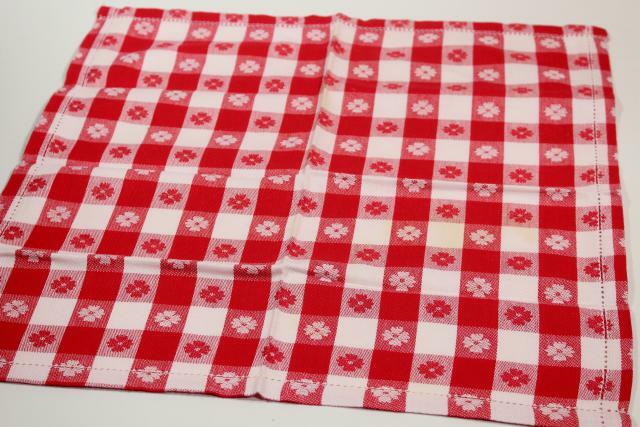 Classic red and white checked cotton table linens for casual meals - picnics and barbeques, or a little farmhouse style for your kitchen table! 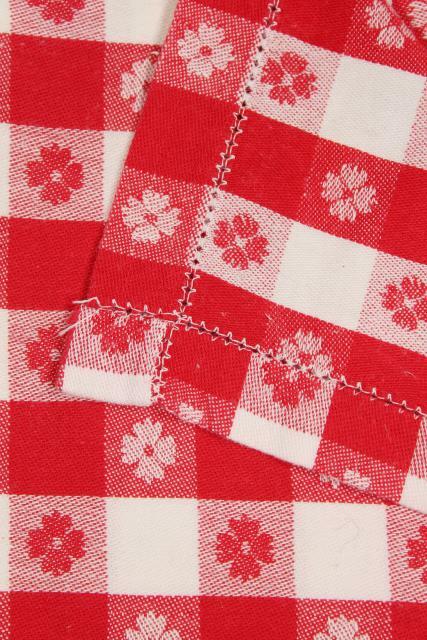 These are such soft, high quality all cotton fabric. 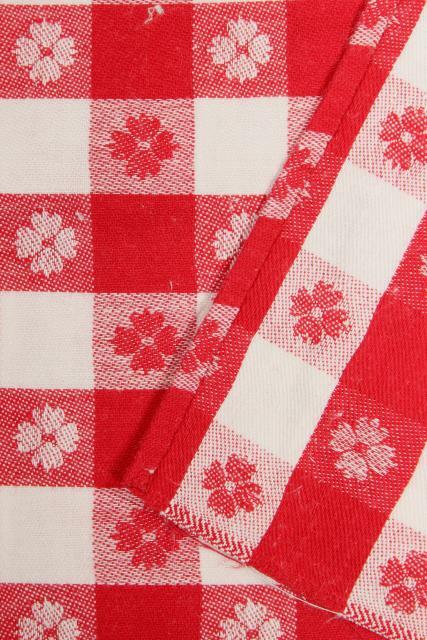 These have been used very little, and are nice and bright, just a few spots. 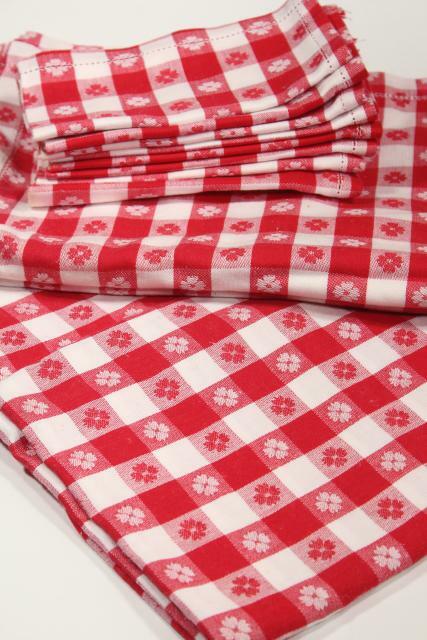 One tablecloth measures 64" x 52", and has eight napkins 15" x 16", hemmed to match. 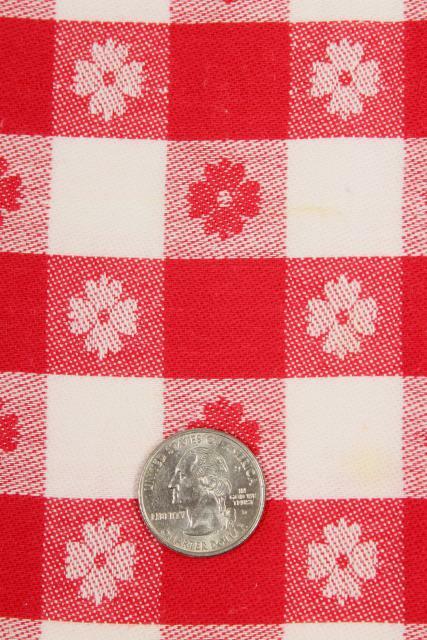 The other tablecloth is of the same fabric, but it's been cut down and rehemmed to make it smaller - it measures 54" x 42".